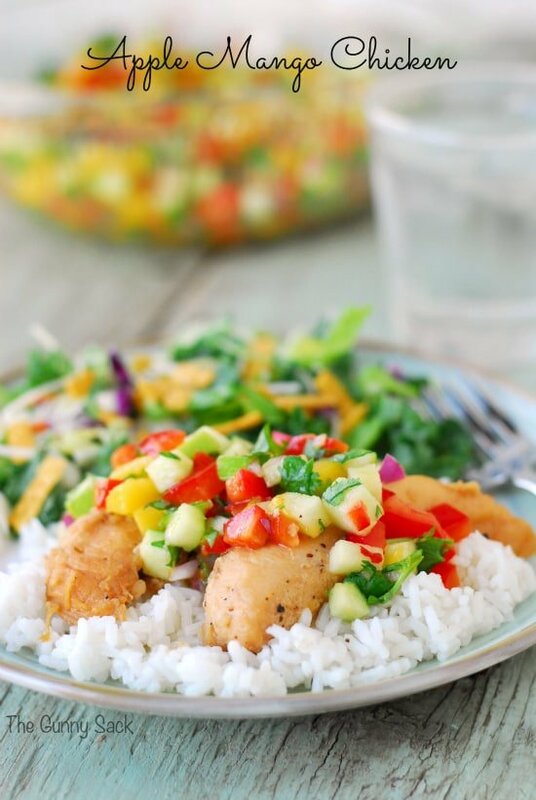 Apple Mango Chicken is full of flavor and easy to make. Last Saturday, we went to my brother-in-law’s house for the evening. Even though they live fairly close to us, we haven’t had time to visit lately. Some of our mutual friends were there, too. While we were in the kitchen cleaning up after eating, one of the ladies told all of us that she just recently realized how much she loves Gold’n Plump ® chicken. Now, she has no idea that I am working with Gold’n Plump. In fact, I don’t think she even knows that I have a blog. Anyway, she said that she loves it because it always turns out so good and I completely agree! This month is all about the fall harvest. When I think of autumn, I think about apples and pumpkins so I decided to make Apple Mango Chicken. The recipe uses apples in two ways. The first is that the chicken is cooked in a simmer sauce (or poached) with an apple juice base. 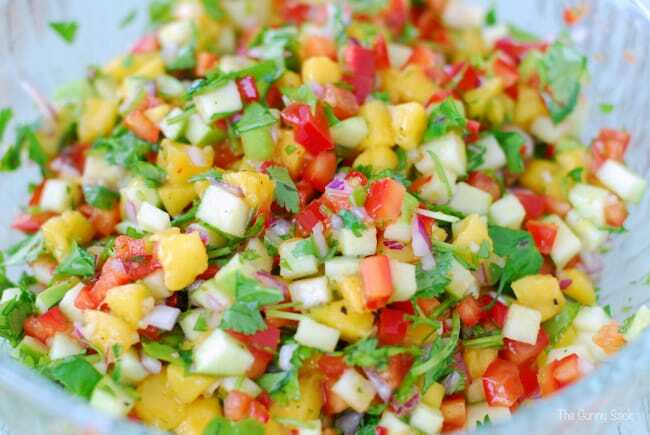 Then, the chicken is served with a flavorful Apple Mango Salsa. 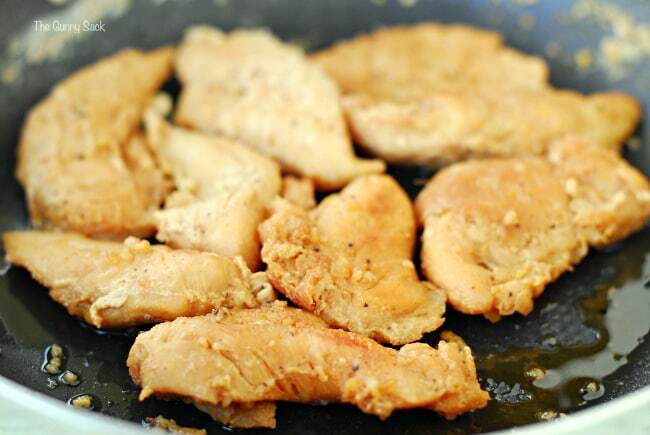 For this recipe, I used a package of Gold’n Plump® Extra Tender™ Boneless Skinless Chicken Breast Tenders. I bought it last week and put in the freezer until I was ready to cook. 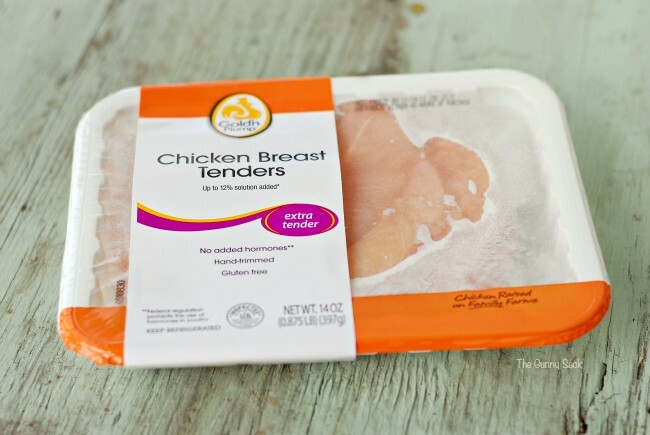 I often choose chicken breast tenders because I feel like they cook faster and it is easier to tell when they are fully cooked. Plus, they are the perfect size for kids. Gold’n Plump chicken is hand-trimmed of fat, has no unwanted parts, has consistent product size and consistent quality from package-to-package. I put apple juice, honey, diced onions, fresh garlic, black pepper and salt into a sauté pan. I added the frozen chicken to the pan, put the lid on and brought the liquid to a boil over medium high heat. Once it started to boil, I turned it down to low and replaced the lid. After about 5 minutes in the pan, I separated the chicken tenders. I simmered the chicken over low heat, with the lid on, for an additional 15 minutes, turning the chicken occasionally. Then, I added additional apple juice and continued simmering for another 15 minutes with the lid on, turning the chicken occasionally. While the chicken was cooking, I cubed a green apple, a mango and a red bell pepper. I chopped some cilantro and diced part of an onion and put it all in a bowl. For the salsa dressing, I whisked together fresh squeezed lime juice, zesty Italian dressing, orange juice concentrate, fresh garlic, salt and black pepper. Pour the dressing over the salsa ingredients and stir to coat. 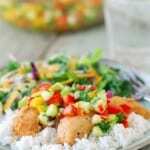 Serve the chicken tenders on a bed of rice topped with the apple mango salsa. The flavor is amazing and the dish is colorful! Stir 1 cup apple juice, honey, onions, fresh garlic, black pepper and salt in a sauté pan. 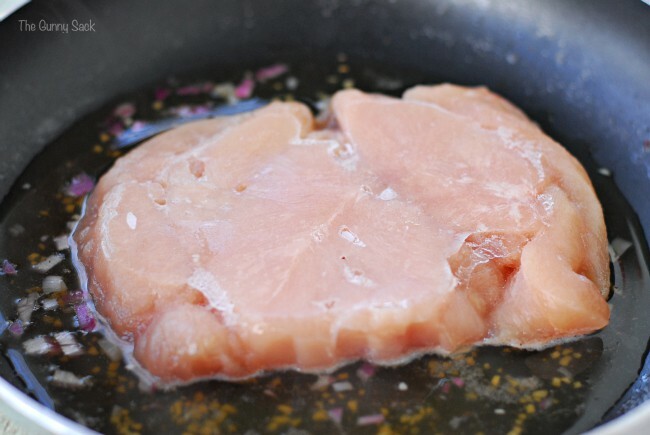 Add the frozen chicken to the pan, put the lid on and bring the liquid to a boil over medium high heat. Once it starts to boil, turn heat to low and continue cooking with the lid on. After about 5 minutes, separate the once frozen chicken tenders. Simmer over low heat, with the lid on, for an additional 15 minutes, turning the chicken occasionally. Add 1/2 cup of apple juice and continue simmering for another 15 minutes on low or until full cooked, turning the chicken occasionally. 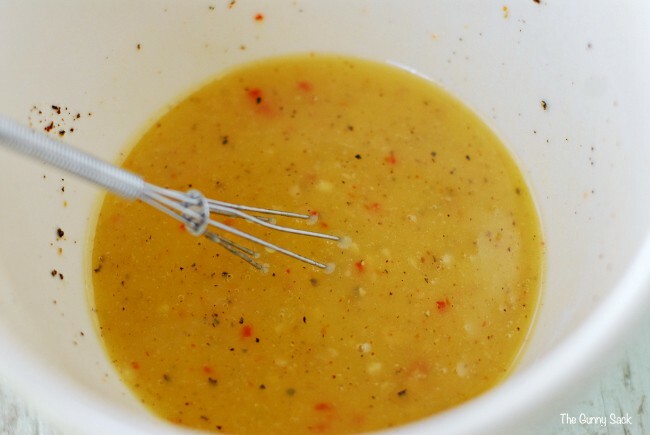 Whisk together lime juice, Italian dressing, orange juice concentrate, fresh garlic, salt and black pepper. 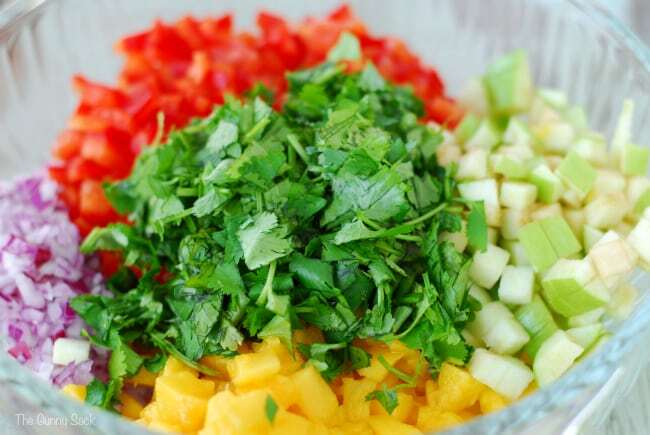 Combine green apple, mango, red bell pepper, onions, and cilantro in a bowl. 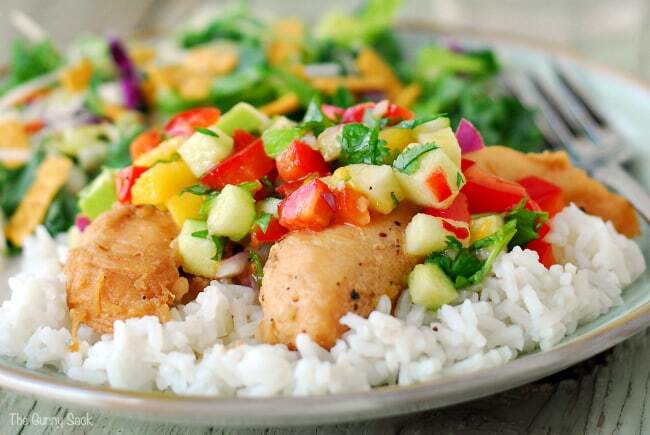 Serve the chicken tenders on a bed of rice topped with the apple mango salsa. You can use another sweet juice instead of the orange juice. If you want it to taste tropical, go for something like pineapple juice or if you prefer, you could try apple juice. 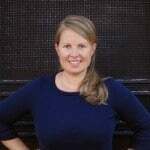 Tonia, girl you are so awesome. We live in Tulsa,Ok. I was wondering if my daughter can get GoldenPlump Chicken at Wal-Mart? 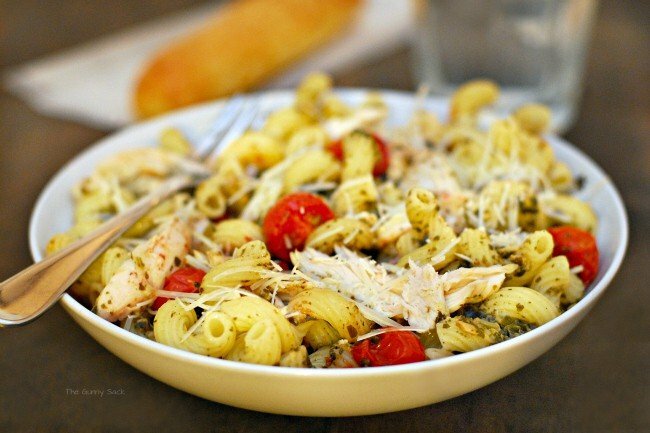 She has got to make this Recipe as well as the Chicken Pesto.